Kenneth’s foray into the arts started through dance and dance creation in the late 90’s. As a theatre maker, he is committed to telling stories that inspire debate and has created a number of diverse work with a range of producers, artists and companies. His latest creation; Esther’s Revenge, an experiential play inspired by true events was showcased at the Pan African Creative Exchange in South Africa. 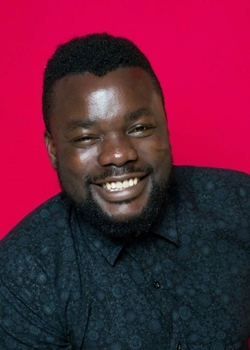 He was Festival Director for the British Council Lagos Theatre Festival from 2014- 2018 where through his work with an amazing team; he expanded the scope of the festival from 16 performances to 109 events in two years. LTF has so far featured over 500 productions with 15 international collaborations and it was ranked amongst the top 20 theatre festivals in the world. He is currently the Festival Director for Lagos Fringe scheduled for November 2018.